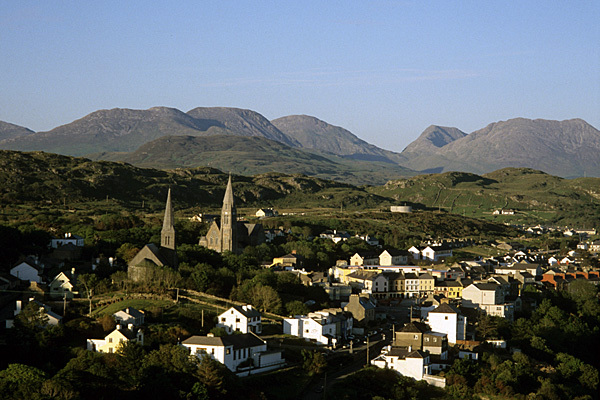 Clifden, the Capital of Connemara, with the celebrated Twelve Bens rising beyond. 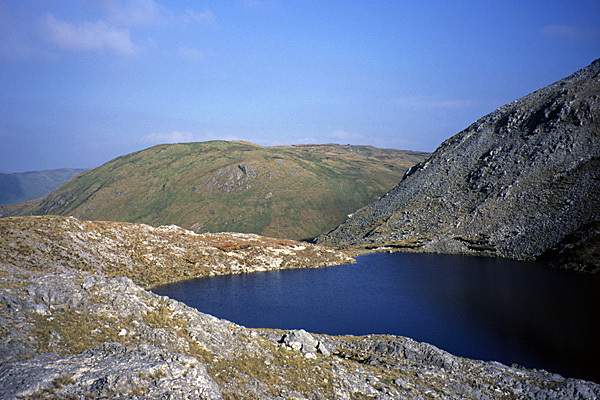 Loch Mám Ochóige sits on a rugged gap in the Maum Turk Mountains. 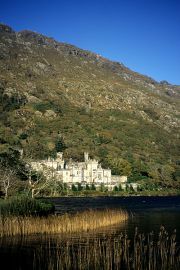 Kylemore Abbey is very popular with visitors to Connemara. Six books were commissioned in the Ramblers' Guide series, and although the Connemara title was delivered first, well in advance of the rest, it was the last to be published! 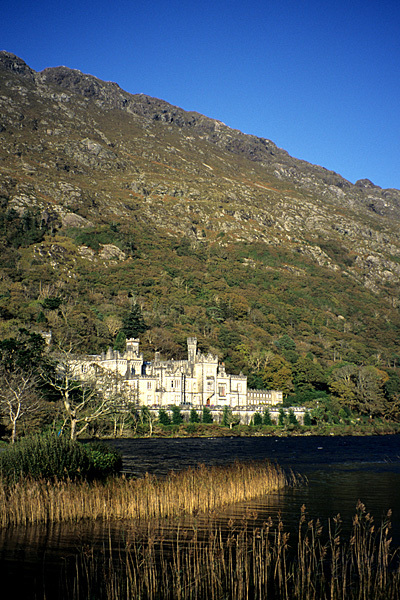 The route research was conducted in a month of strenuous walking while based in Clifden, the Capital of Connemara. A final selection of thirty routes was made for the guidebook. The enthusiastic assistance of Michael Gibbons of the Connemara Walking Centre was most welcome, and towards the end of the publication process, Michael checked all the route information in the book. The routes include a selection of easy, low-level walks, as well as high-level walks through the Twelve Bens and Maum Turk Mountains. The mapping for the guidebook was provided by Harvey Maps and is based on their excellent Superwalker Map of Connemara, which is easily the most detailed and useful map for walkers in the area. The book is full-colour throughout and the photographs show off the scenic splendours and wilderness qualities of Connemara. Some booksellers have experienced great difficulty in ordering this title, so check whether copies are listed on Amazon.